Linda’s Lingerie uses only the highest quality fabrics, which means your bra will last longer than conventional bras, especially if it is hand-washed and left in the shade to dry. Would you like to learn the secrets of making your own bras? Are you a Fashion Designer or studying Fashion Design and need someone to sew your creations? If you are based in Melbourne or Brisbane and are looking for someone to sew your creations then talk to me. I have undertaken the manufacture of a range of fashion pieces for a number of students and am happy to discuss your sewing needs. 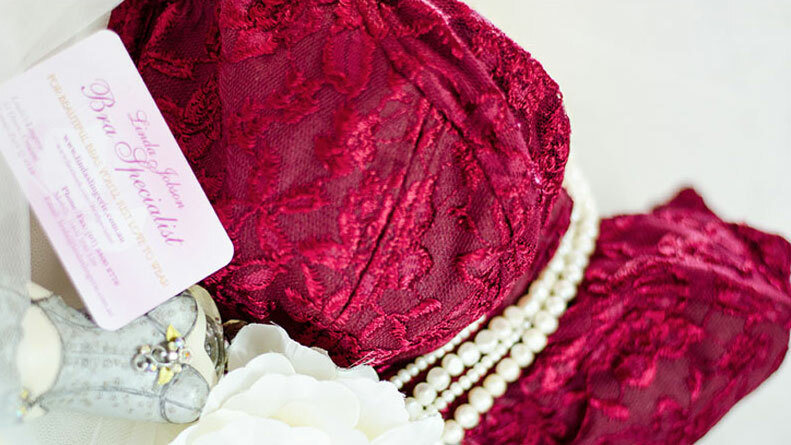 Do you live in Melbourne or Sydney and need a custom made bra or personally fitted bra? Lindas Lingerie visits Melbourne twice a year, July and December, for Personalised Bra Fittings. Please check for upcoming dates on the Whats New page. Sydney ladies please contact Arne Delacher at Tres Cache, phone 0415 440 472 or email info@trescache.com.au http://www.trescache.com.au.